Small business success does not rely exclusively on marketing alone, but a strong marketing plan certainly helps attract new customers. It keeps current customers in the loop, too. Marketing is essentially conveying a message to your target audience, a message that invites that audience to do business with you.Below is one of the most comprehensive lists of hairdressers and salon marketing tips you will find online. Each of the tips can actually be adapted to just about any small business, regardless of the sector a given business is involved in. Employing as many as you can will have a positive impact on your business. 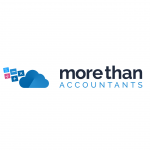 More Than Accountants are happy to help our clients implement any of the items below – just speak to your business growth specialist. Given the prevalence of online research as a precursor to purchasing goods and services, the best place to start when developing a new marketing strategy is online. How well a company utilises online marketing will largely determine how many people are reached by the marketing message. Fully embrace social media. Social media is the number one online marketing tool of the 21st Your company should be fully embracing all the most used sites including Facebook, Google+, Pinterest, Twitter, and Instagram. Consider LinkedIn if your company caters to business professionals. Solicit reviews. An online review will do more for a company’s reputation than just about anything else. Encourage your best customers to review your business on industry sites, social media, etc. Purchase online ads. Though paid advertising may not offer the same kind of return it once did, it is still critically important to effective online marketing. You should be investing in Google AdWords, Facebook ads, and Adroll at minimum. Become a blogger. Starting a blog on your website is a terrific way to engage customers and keep them coming back for more. Just make sure blog content is well written and relevant. You can also write blogs for other sites that accept guest content. Guest posting is an excellent way to generate backlinks to your site. Seek out new links. Links to your website are your most valuable resource for good search engine rankings. Start contacting other website owners to see if you can swap links with them. Create quality content. A wonderful way to generate links without having to ask for them is to create high-quality content on your own website. Such content is linked to by other sites more often than you might know. Publish case studies and white papers. Case studies are used to prove the effectiveness of your company’s products or solutions through brief explanations of past successes. White papers offer sound solutions to prospective clients not familiar with your business. Your salon should be publishing both on a regular basis. Solve a problem. There is an adage that says the key to business success is to find a need and fill it. In the online marketing world, finding a problem and solving it by way of website content is the way to go. Solving a problem can be as easy as writing a blog post that answers one of the most common questions you hear from clients. Offer a webinar. Webinars are online presentations used for educational purposes. A webinar might be a fantastic way to attract new clients and establish your company as a go-to source of information. Run periodic promotions. Regular promotions encourage new customers to join your family. They also reward those already loyal customers. One example would be a giveaway in exchange for liking or sharing a social media page. Everyone who likes or shares is entered into a draw that takes place at the conclusion of the promotion. Utilise online listings. There are plenty of industry-related and generic directories online. Your salon should be listed on as many of them as possible. Listings need to be accurate as well. Create videos. The modern consumer loves videos. In fact, a good video is one of the best messaging tools for the internet user. So create a YouTube page and start populating it. You can link to your videos from your own website. Shoot for something viral. As long as you’re creating videos, try to create something that will go viral. You can also create viral infographics, blog posts, and pictures. Viral content just has to be attention-grabbing and worthy of sharing. Develop your brand. All your online marketing efforts should contain an element of brand development. Your brand tells customers who you are. It separates you from the competition. Utilise SEO practices. SEO is a comprehensive strategy designed to improve search engine rankings and customer conversion. Do not even think about online marketing if you are not willing to embrace SEO. Sell your products. Try expanding your sales by selling some products you offer in store online. You can never go wrong by adding another sales channel. Marketing online is just the start of an effective marketing strategy. Companies also need to market off-line as well. Experts refer to this form of marketing as relationship building. It takes all the information you present online and solidifies it within those relationships that staff have with customers. Create a good branded ‘product’. Branded services represent your company. Striving to create good ‘products’ and services is the foundation of good relationships. Ask for referrals. An effective way to establish relationships with new customers is by referring them to past customers willing to provide a referral. Never be afraid to ask satisfied clients for such referrals. Look for local PR opportunities. Local publicity goes a long way toward boosting the reputation of a business. Look for ways to take advantage of local PR, including opportunities with newspapers, radio stations, etc. Buy local advertising. If your local area offers opportunities for TV and radio advertising, take advantage of them. Both media still represent excellent opportunities to reach your community. Use the post. Direct mail advertising is still alive and well. Use the post to your advantage by sending out regular mailings. Invest in signage. If opportunities for roadside advertising exist in your area, take advantage of them as well. The driving public are a captive audience for well-placed signage. Get involved in charity. Both local and national charity events provide an excellent means for building strong relationships with community members. Community involvement might even be your best relationship-building tool. Reach out to customers. Show your regular customers you appreciate them by reaching out to them on special occasions. For example, you might send out birthday cards offering your best wishes. Offer occasional freebies. People love free stuff, don’t they? It never hurts to offer a few freebies throughout the year. You will quickly gain a regular following of new customers this way. Embrace networking. Business networking can be a hassle at times, but you should take advantage of every networking opportunity that comes your way. You’re likely to pick up one or two clients at every event. You can also learn what to do and what not to do from the best in your industry. Get involved in education. Things like educational seminars and recruiting events are a great way to expose your salon to the local community. You might even come up with special promotions for students and seniors, if applicable. Hold appreciation events. Holding customer appreciation events is yet another way to show customers you value them. An annual Christmas event is but one example. Thank your customers. Every successful business transaction, whether that be in your salon or elsewhere, should be followed by some sort of tangible thank you. It could be verbal, written, or in the form of an inexpensive gift. Follow up with old customers. Every business has that group of customers that have not been around in a while. Follow-up with them through an e-mail, phone call, or promotional event. Survey your customers. A big part of customer retention is surveying customers for the purposes of finding out how you can improve your service. Surveys also show customers that you care about them and their needs. Follow all leads. Good marketers know to follow up on all potential leads, no matter how minor or unlikely these seem to be. This is called prospecting. Good prospectors know how to identify leads and pursue them. Address customer goals. Every customer who utilises your products and services does so with specific goals in mind. Target a portion of your marketing message to those goals. If you sell beauty aids in your salon, for example, talk about how your products can help customers achieve the look they are striving for. Invest in printed literature. Everything from brochures to business cards to flyers represent tangible materials that you can put in the hands of your customers. Do not underestimate the power of printed literature. There is still a place for it, even in the digital age. Your salon is a powerful marketing tool in and of itself –you should use it to your advantage. Train your staff. Marketing your salon begins with training your staff in how to treat customers. Do not just assume that new hires know how to do it; spend time teaching them. Also make your expectations clear. Treat customers like family. A logical extension of training your staff is treating customers like family. This builds relationships that will keep them coming back. Ask for testimonials. It is a good idea to ask some of your VIP customers to write short testimonials you can post in your salon. The testimonial is one of the best forms of word-of-mouth marketing. Encourages selfies. Encourage your customers to take selfies during their visits. Then invite them to post those pictures on your social media sites. Offer something different. Salon owners need to separate themselves from the competition. One way to do that is to create something different. For example, make your waiting area more inviting by incorporating free internet access and live television. Offer something exclusive. Another way to separate yourself from the competition is to offer something exclusive. Either create your own exclusive product or service, or get something from a supplier that none of your competitors offer. Be sensitive to pricing. Retail pricing can be tricky. Going too low cuts into profits while going too high could chase customers away. You have to be continually sensitive to pricing in order to maintain that sweet spot. Use your own products. If you want to convince customers to buy specific products sold in your salon, you should be using them yourself. You are your own best representative. Offer in-store promotions. Just like you run promotions online, do the same in your salon. Create a referral contest, or a contest offering a prize for the best selfie. You get the point. Increase add-on services. Think about add-on services that you can start offering. The extra add-ons can add significantly to your revenues without being pricey. Develop different levels of service. Lastly, you could develop different levels of service to cater to diverse needs and budgets. The highest level of service should be something truly special. 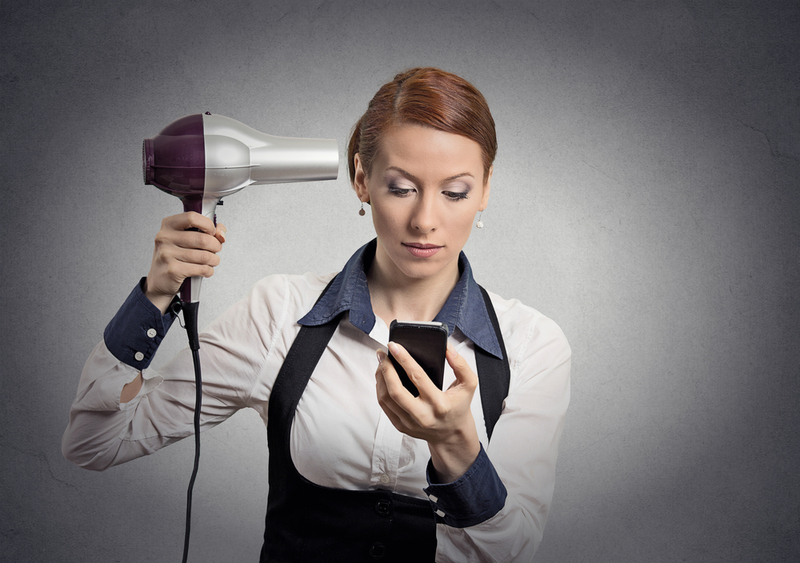 The last category of marketing tips for your salon is related to technology. We live in a world in which technology is constantly evolving, so you might just as well take advantage of it for your business. Send confirmations. As your business model involves setting up appointments with customers, send reminders and confirmations via e-mail, text message, etc. Send thank you messages. Use those same channels (e-mail, text messages, etc.) to send thank you messages to customers after the fact. Send an e-mail newsletter. E-mail is a great tool for sending regular newsletters to keep customers up-to-date about salon news, special events, and the like. Recognise customer life events. You can use CRM software to keep track of customer life events like anniversaries and birthdays. Then automate your software to send them notes on those special days. Update services and products. CRM software can be utilised to send your customers e-mail updates whenever you have a new product in store or new service on offer. Keeping customers up-to-date will help to keep them coming through the doors. Send follow-up reminders. Set up your CRM software to send out reminders when customers are due up for the next appointment. Develop a loyalty programme. You can use technology to create a loyalty programme. There are numerous companies that offer online loyalty programmes that your customers can access through mobile apps. Survey your customers. Your salon should be taking advantage of e-mail, text messaging, and your own website to survey customers on a regular basis. Customer surveys are very effective customer retention tool. Create coupons and gift certificates. Utilise technology to offer your customers digital coupons and gift certificates. If you are so inclined, make it possible for customers to buy gift cards online. The fact that you have made it to the end of this article demonstrates your willingness to learn how to market your salon more effectively. The next step is to go through the list again and more carefully identify the marketing tips you can start employing right away. What’s left over can be employed as opportunities present themselves. At the end of the day, the point is this: the way you market your salon online, offline, and through your retail location will have an impact on the success of your business. Whenever you do, find a way to effectively get your message out there. Then back up that message with the best service and customer care you can offer.